California may have the world's fifth largest economy, but its citizens hold the most credit card debt in the United States. Californians also have the highest debt-to-income ratio. So what do you do if you have bad credit and an emergency arises? Banks won't give you an unsecured loan if your credit is poor. You also can't pull out a traditional line of credit. Most people look to payday loans but is that the best option? In this guide, we explore everything you need to know about poor credit loans in California. The first thing you may be wondering is "How do I know if I have a poor credit score?" It's a valid question and one that is often confusing. The first thing you need to do is get a hold of your credit report from a national credit reporting agency. The Federal Trade Commission requires Experian, TransUnion, and Equifax to give you a free credit report every 12 months if you ask for it. FICO is a standard used by lenders to decide if you're approved or denied for various loans. Other credit reporting agencies have their own methods, but Experian uses FICO as well. If you fall below 580, your options for taking out a loan differ but you do have options. In California, various laws and regulations work in your favor while other loan options are far riskier. If your credit falls below 640, it's harder for you to get a personal loan than if your credit was a few numbers higher. In California, lenders typically want your score to be at least 680 before giving you an unsecured loan. This means a loan that doesn't require collateral like a house or car. Because the bank views people with low credit scores as risky, they hesitate to approve loans without anything to secure them. For instance, if you are trying to buy a home in California with bad credit, you can do so but you'll face stricter guidelines. If you default on your payments, the bank will foreclose on your house and resell it. There's a lower risk for the lender because they'll get all or part of their money back in one way or another. But if you don't have collateral, like hold the title to your car or have equity in your home, lenders may be more skeptical. This is why interest rates for bad credit personal loans are so high. In general, the lower your credit, the higher your interest rate. There are a few exceptions in California which get discussed below. Payday loans in California get heavily regulated by the government. First, payday lenders must register with the Department of Business Oversight to do business in California. Second, the amount caps out at $300 with a maximum fee of $45, which means the most you'll get handed in cash is $255. The average two-week payday loan of $100 works out to carry an annual interest rate of 460%. If you're in a short-term pinch, like you get paid in two days but are $50 short in your bank account, a small payday loan is an option. But you should only consider CA payday loans if you're in a desperate situation. You should also only consider this option if you intend to take out a small loan and pay it back immediately. Some people fall into a cycle of paying one payday loan back and needing to take out another one to make up the difference. Because there's no "cool off period" in California, you can pay one loan back and get a new one within minutes. Bad credit installment loans in California are much different and are a point of contention in the State legislature. California caps the interest rate on loans less than $2,500 at 36%. But there's no interest rate cap on loans between $2,500-10,000 despite state lawmakers' best efforts. Without an interest rate cap on loans more than $2,500, you could be paying 100% or higher. Like everything in life, there are exceptions to the rule. Some California lenders cater to people with poor credit scores and interest rates vary from 9.95% to 36%. There are also lenders that don't allow loan rollover. In other words, you won't keep accumulating interest and higher payments by extending your loan and paying fees to do so. These lenders are hard to find, but they are out there. Like payday loans, also do your due diligence in finding an installment loan in California. Make sure they're registered with the Department of Business Oversight. Lenders who aren't don't have to follow California laws, thus charging you exorbitant fees. When payday or installment loans have too high of a payout, many consumers turn to tribal loans. Tribal loans are short-term loans ranging from hundreds to thousands of dollars. They're available from lending institutions run by a Native American community on tribal land. Because they're based out of reservations, they're protected sovereign territories. This means they don't have to follow the same restrictions traditional lenders do. Most tribal lenders belong to the Native American Financial Services Association (NAFSA). This group oversees the tribes to ensure they're using fair practices. Anyone can take out a tribal loan, even people in states where online installment loans or payday loans are illegal. In general, these loans are safe. Most are members of the Online Lenders Alliance and self-govern according to traditional standards. But there are cases of "rent-a-tribes" where shady lenders use tribal immunity as a shield. They use Native American sovereignty laws to gouge consumers and collect money using illegal tactics. The interest rates and fees are high like payday loans but because they're online lenders, they're easier to get with longer repayment terms. 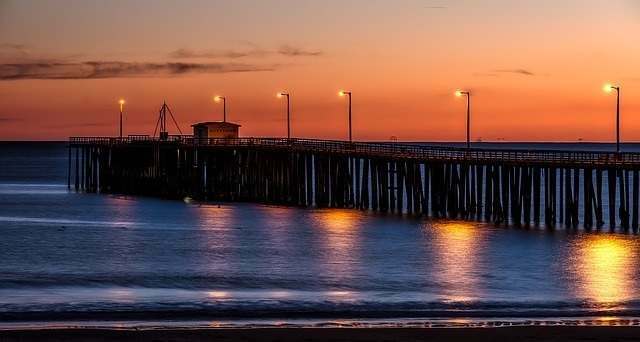 In recent years there's been a lot of controversy surrounding California tribal lenders. The state has cracked down on certain tribal lenders, excluding them from sovereignty as their legitimacy came into question. If you feel a California tribal loan is an option for you, make sure you research if the lender is using third-party affiliates to provide your loan and if they're considered a legitimate arm of a tribe. Now that you know your options when it comes to bad credit loans in California, you can start fixing your credit. In all cases, make sure you weigh the pros and cons of each type of loan before committing. 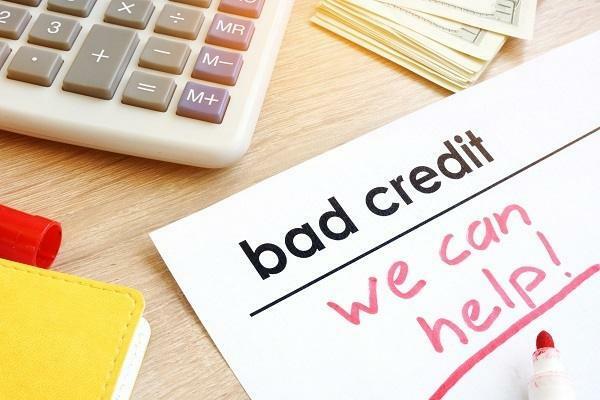 If you need help fixing your credit, PoorCredit.org has advice and tips to get you back on track. Californiadollarsforscholars.org is our latest acquisition to aid in our campaign, Help Consumers Obtain Credit (HCOC). Check our blog for answers about your poor credit or how to fix it.